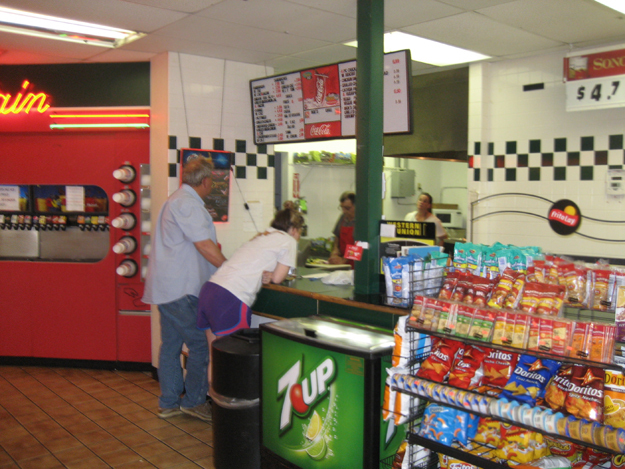 If you go to a convenience store whose blazing fire-red decor is an attempt to imitate QuikTrip and the proprietor tells you that you can get the best food in the world, you should be skeptical. But not if it’s this place, because there’s some truth to it. Inside you’ll find some of the best fried catfish that money can buy. Now before we step inside, you’re probably wondering how I managed to find a hidden treasure in so unlikely a place. Well, I used a secret trick that every food reviewer uses but few admit in public. I read about it in an article by another food reviewer! (Thank you, Urban Tulsa!) Let’s go inside. Behind that little counter in the center is the tiny kitchen where the chef works his magic. You can see him in a red apron. That’s Moe Sepahvand, the chef and owner too. He’s not a stranger to the food business. He owned Smoky Mountain Barbecue on Garnett and he’s run various cafes and diners too. He’s talkative and friendly and if he likes you he’ll show his love with free sodas, extra-large portions, etc. 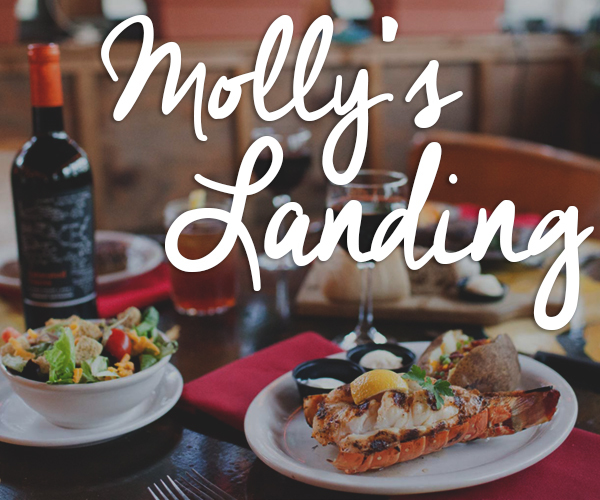 There are burgers, sandwiches, and various grilled items on the menu but it’s the deep-fryer that showcases Moe’s talent, so ignore all else and order the catfish dinner ($9). Yes it’s some of the finest fried catfish I’ve ever tasted, even in a town where you’ll find fine catfish on almost every block. 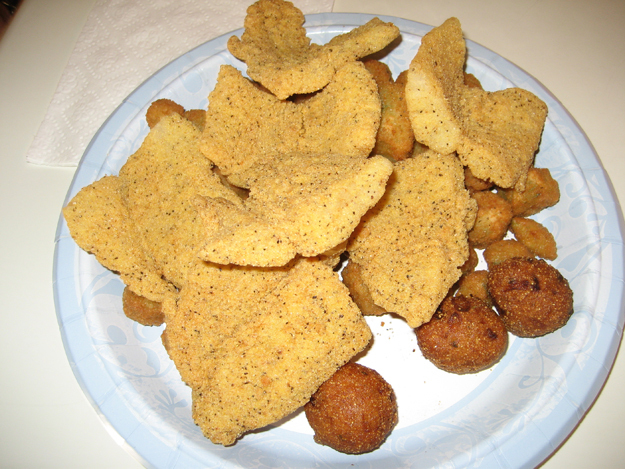 The fish has a fresh clean taste but it’s the cornmeal and flour breading that excels. It has a fine crunch and a blend of spices (Moe’s secret) that just can’t be beat. It just about brought tears to Cathe’s eyes. She is an expert judge of fried food but she’s on a diet and so could have only one piece and the will power required not to eat one or two or even ten more just about tore her up. She did it though. I couldn’t. I ate every piece in the photo. 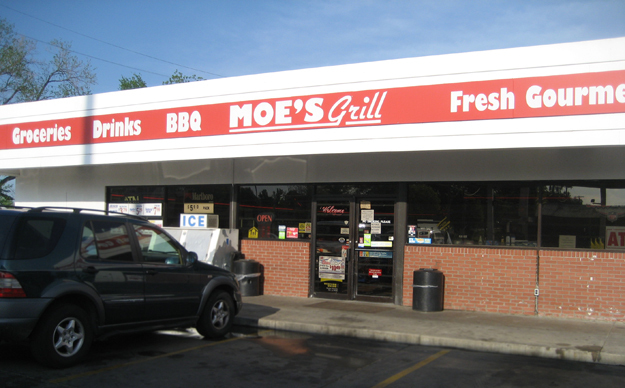 You can see fried okra and hush puppies in that photo, and Moe’s gift for frying extends to them. A totally different breading, of course, from the fish. The okra was very good and the hush puppies amazing. We ate it all there, on a big metal table with metal benches. Moe fried the catfish and okra after we put our order in, and its freshness was what made it so stellar. If we’d taken it home, it probably wouldn’t have tasted quite as good. We had two catfish dinners and also a smothered chicken dinner ($9). 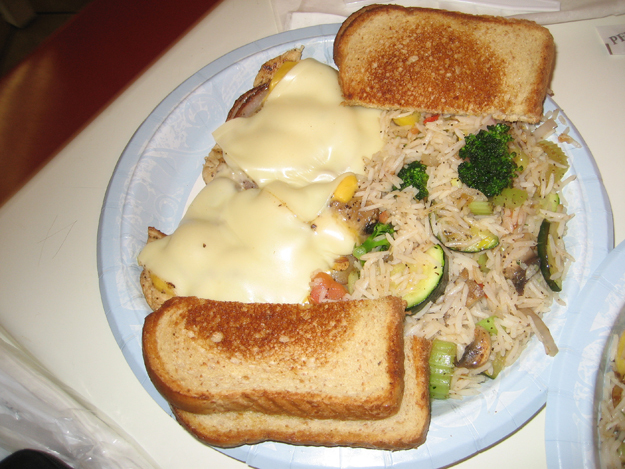 Not the Southern smothered chicken I expected, no gravy, just grilled chicken breast topped with sauteed mushrooms and melted cheese. Not on the same supernal level as the catfish, but still quite good. It would make a fine hero sandwich (and I think he’ll serve it that way for around $5). There was rice too, and Moe served us a huge extra plate of it. 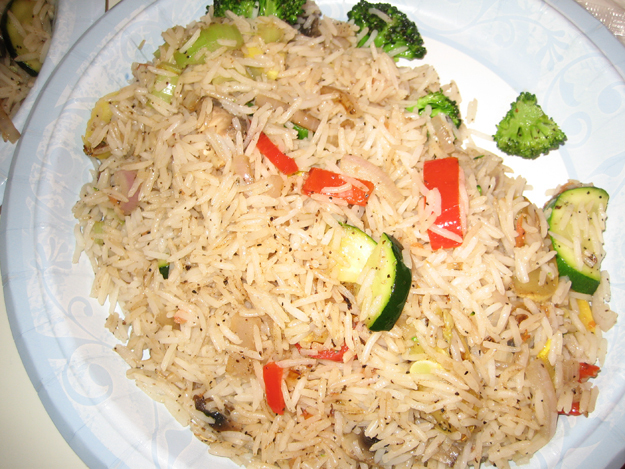 Nice long-grain rice studded with al dente vegetables such as zucchini and broccoli. I liked this least I think, in part because there was too much pepper. It wasn’t bad at all though, and I happily finished off the huge plate. (If you like it more than I do, it’s available made with beef or chicken or sometimes shrimp as a main course.) I don’t think desserts are available but we were stuffed and didn’t ask.